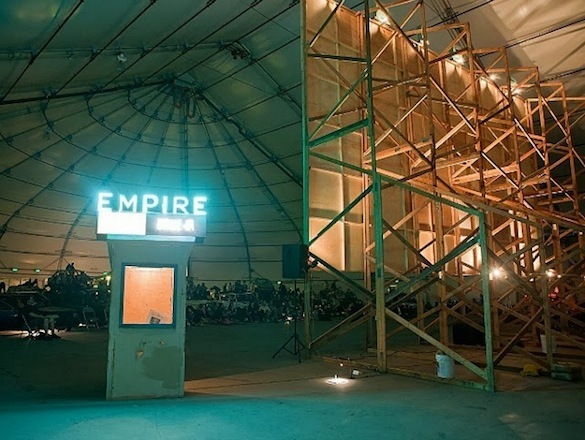 The Empire Drive-in is the closest you'll ever come to feeling as though you stepped back into another time, when cozying up for an evening of film and fun was still a thing. 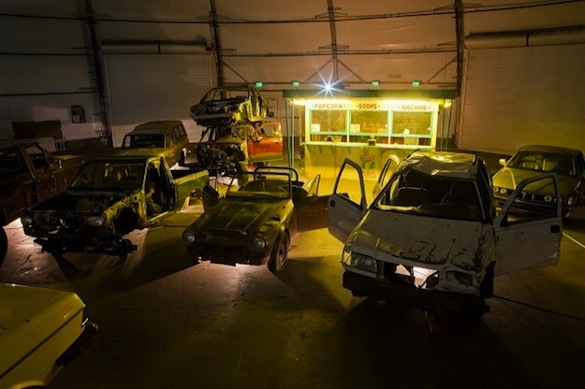 Brooklyn-based artists Jeff Stark and Todd Chandler created a pop-up installation built from junked vehicles and other salvaged materials. 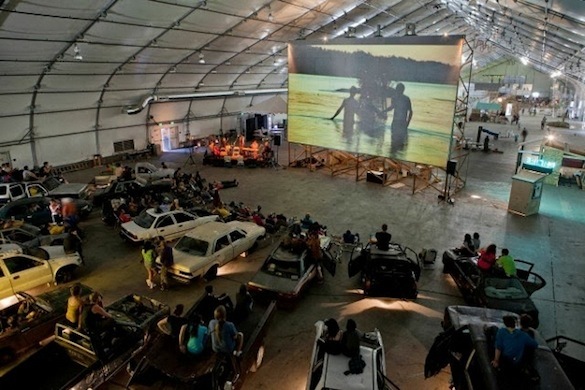 It's the Bellflower of drive-ins. 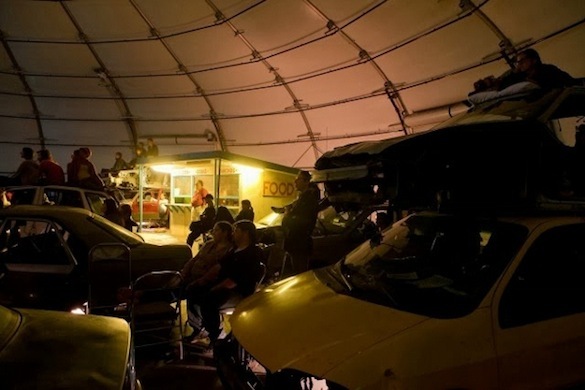 "The project invites audiences to participate in a series of questions about car culture, planned obsolescence, and the distinction between public and private space," their statement reads. 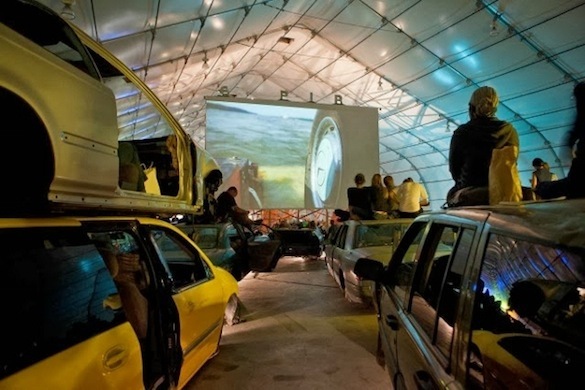 Since many of the vehicles were relics from car accidents, the artists repurposed the cars with the personal belongings of their former owners intact, adding to the social/public/private dynamic.